working towards the elimination of HIV and TB disease. The Africa Health Research Institute (AHRI) is a multidisciplinary, independent research institute based across two sites in the province of KwaZulu-Natal, South Africa. Our goal is to become a source of fundamental discoveries into the susceptibility, transmission and cure of HIV, TB and related diseases. We also seek ways to improve diagnosis, prevention and treatment. To achieve this, we bring together leading researchers from different fields, use cutting edge science to improve people’s health, and help to train the next generation of African scientists. Our research is truly collaborative: we work with over 60 academic and clinical institutions in South Africa, and elsewhere in Africa and the world. AHRI’s major funders are Wellcome Trust and the Howard Hughes Medical Institute. Our academic partners are the University of KwaZulu-Natal (UKZN) and University College London. 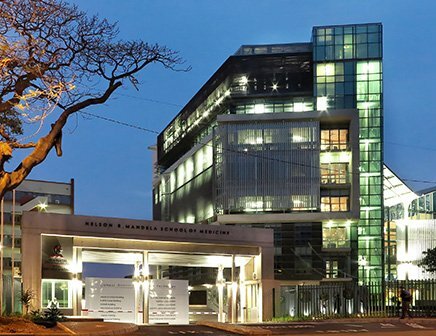 Africa Health Research Institute was formed on October 1, 2016 out of an amalgamation of the KwaZulu-Natal Research Institute for TB-HIV (K-RITH) and Africa Centre for Population Health. Council. Africa Centre’s core aim was to improve population health by reducing the burden of HIV and TB in the population of rural KwaZulu-Natal, and limiting the illness and death associated with emerging non-communicable diseases. K-RITH was founded in 2009 through a collaboration between the Howard Hughes Medical Institute and UKZN, with public sector support through the Technology Innovation Agency. K-RITH was formed as part of a response to the 2005-2006 extensively drug-resistant TB crisis in Tugela Ferry, and the realisation that there was an urgent need to bring basic science research right to the epicentre of the HIV and TB co-epidemic. 100 000 people with K-RITH’s basic laboratory science, experimental medicine and world-class facilities. AHRI is based at two sites in KwaZulu-Natal. 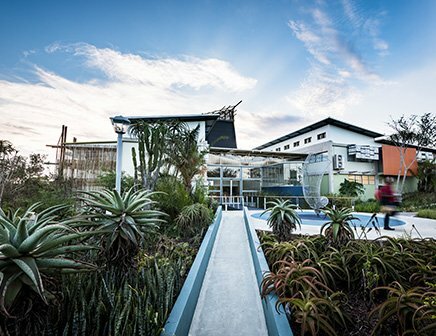 Population studies are conducted from the Africa Centre Building at Somkhele, while the K-RITH Tower Building on UKZN’s Nelson R. Mandela School of Medicine campus hosts laboratories and core operations. The iconic Africa Centre Building hosts scientists, data clerks, statisticians, and fieldworkers – amongst others. AHRI’s population research platform incorporates a rural area of about 845 km2 and a population of 150 000 in northern KZN. Our focus is on epidemiology, clinical research and population level intervention research; primarily on prevention, diagnosis and treatment of HIV and TB and related diseases. AHRI’s extensive longitudinal database integrates data collected from our population, clinical and laboratory research. Read more about our data repository. The K-RITH Tower building incorporates state-of-the-art facilities including over 600m2 of biosafety level 3 (BSL-3) laboratory space, and a bioengineering laboratory and microfluidic chip-making foundry set-up to develop and explore the potential of microfluidic devices for research and diagnosis. 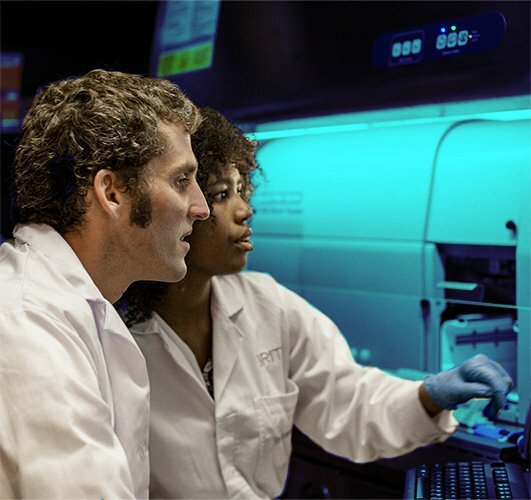 We are fully equipped for diagnostic and exploratory testing services including immunology, proteomics, microbiology and virology, and animal research. We have a range of bespoke clinical cohorts and sampling populations within local clinics and hospitals to facilitate our laboratory research.